Cancer is a leading cause of death worldwide with most occurring in low- and middle-income countries (LMIC). About a quarter of the most common cancers in low-income countries could be prevented through eating healthily, being physically active and maintaining a healthy weight. This article discusses the nutritional challenges in LMIC and the work of the WCRF global network in cancer prevention. Cancer is a leading cause of death worldwide, accounting for approximately 13% of all deaths in 20081. Approximately 70% of these cancer deaths occurred in low- and middle-income countries (LMIC)2. The numbers of cancer cases and deaths are projected to continue rising and by 2030, it is estimated that there will be approximately 21.3 million cancer cases and 13.1 million cancer deaths worldwide1. This burden will be highest in LMIC, driven by the high distribution of major modifiable risk factors in these countries. 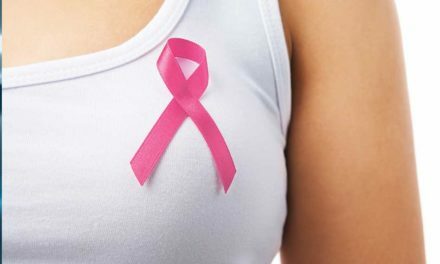 According to the World Health Organization (WHO), approximately 30% of cancer deaths could be prevented by modifying or avoiding key physiological, behavioural and dietary risk factors including being overweight or obese, unhealthy diet with low intake of relatively unprocessed plant foods, lack of physical activity, and use of tobacco and alcohol2. Similarly, the World Cancer Research Fund (WCRF) global network* estimates that about a third of the most common cancers in high-income countries (HIC) and about a quarter in low-income countries (LIC) could be prevented through eating and drinking healthily, being physically active and maintaining a healthy weight. This translates to approximately 61,000 preventable cancer cases in Brazil and 620,000 in China per year, for example3. Published in 2007, the WCRF/American Institute of Cancer Research (AICR) Second Expert Report is the most current, comprehensive and systematic analysis of the evidence on the links between food, nutrition, physical activity and risk of cancer by an independent panel of international experts4. Personal recommendations for people (Figure 1) as well as goals for the population as a whole are provided, based on extensive systematic literature reviews. The recommendations are applicable globally. 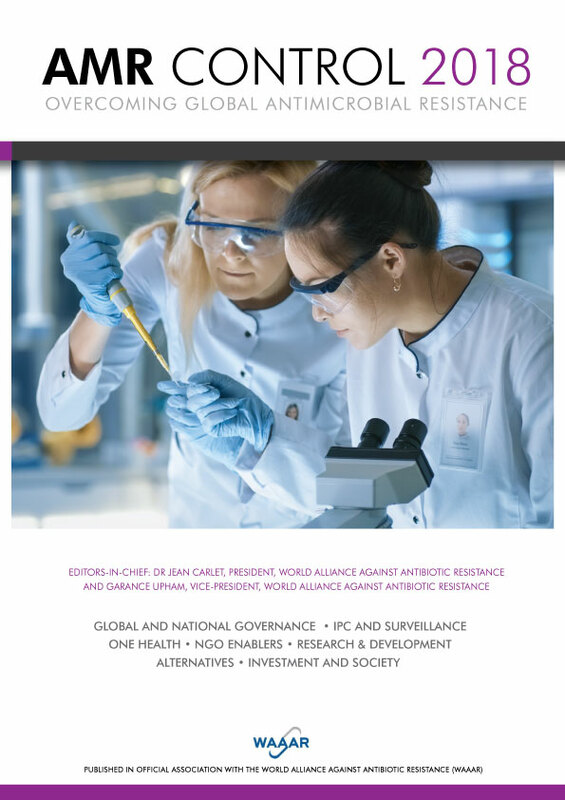 Following the Second Expert Report, WCRF/AICR initiated the Continuous Update Project (CUP) in collaboration with a team at Imperial College London in order to keep the evidence updated into the future, with an independent panel of experts to judge the evidence and make recommendations. The CUP is the largest ongoing review of the scientific evidence in the diet and cancer field and follows the same robust process as the Second Expert Report. The systematic reviews include papers published in English from randomized controlled trials and cohort studies (case-control studies are included if there are few studies), with no date limitation. The exposures relate to food, nutrition, physical activity or anthropometric measures and outcomes include cancer incidence, mortality or recurrence. The database of published journal articles is updated on a rolling basis from which at any point in time, the most current review of scientific data (including meta-analyses where appropriate) can be performed. By the end of 2011, the database contained information on about 1,800 journal papers from cohort studies on cancers of the breast, colorectum, prostate and pancreas. A summary of the conclusions from the 2007 WCRF/AICR Second Expert Report, based on strong (convincingly or probably causal) evidence and supported by recent updated evidence from the CUP, is presented in Table 1. Details of the preventable fraction for each cancer site according to each determinant in different countries are presented in our 2009 Policy Report3. 2. Be physically active for at least 30 min every day. 3. Avoid sugary drinks and limit consumption of energy-dense foods (particularly processed foods high in added sugar, low in fibre, or high in fat). 4. Eat more of a variety of vegetables, fruits, whole grains, and pulses. 5. Limit consumption of red meats and avoid processed meats. 6. If consumed at all, limit alcoholic drinks to 2 per day for men and 1 per day for women. 8. Do not use supplements to protect against cancer. ** 9. It is best for mothers to breastfeed exclusively for up to 6 months and then add other liquids and foods. ** The evidence on high-dose nutrient supplements is conflicting and has been shown to both increase and decrease risk of cancer. The studies that demonstrate such effects do not relate to widespread use among the general population, in whom the balance of risks and benefits cannot confidently be predicted. Increasing consumption of relevant nutrients through the usual diet is preferred. In addition to cancer, rates of other noncommunicable diseases (NCDs) also continue to rise in LMIC, affecting the poorest and most vulnerable populations. LMIC account for nearly 80% of NCD deaths worldwide, which includes cancer, cardiovascular diseases, respiratory diseases and diabetes5. The consequences of the NCD epidemic include major adverse social, economic and health effects, a key challenge on the global health agenda6. NCDs are largely preventable by eliminating shared modifiable behavioural risk factors (tobacco use, unhealthy diet, physical inactivity and the harmful use of alcohol)7. In particular, unhealthy diets – especially the excessive consumption of calories, salt, saturated fat and sugar – account for at least 40% of all deaths from NCDs, and approximately one-quarter of all deaths globally8. Based on a systematic review of other authoritative reports, the Second Expert Report concluded that the recommendations for cancer prevention would also prevent the other main NCDs. In LIC, nutritional deficiencies and nutrition-related infectious diseases co-exist with obesity and NCDs, sometimes within the same communities and even within families3; this is known as the “double burden of disease.” The interaction between under- and over-nutrition is also an independent driver of the NCD epidemic in LMIC (intake of both insufficient and excess calories)9. This emerging challenge makes it particularly difficult for governments to prioritize action. Ongoing food security risks for the most vulnerable groups are now compounded by a dietary shift in LMIC, from traditional diets to less healthy western diets with increasingly industrialized food systems, heavily processed foods and increasing urbanization10. An emerging priority for LMIC and international health and development agencies is to ensure that strengthened policy action and interventions address the whole spectrum of nutrition and diet-related risk factors. The recent adoption of the WHO implementation plan on maternal, infant and child nutrition is a positive development in this field11. The globalization of markets has led to a rapid increase in the availability of mass-produced, processed foods with long shelf lives. This has resulted in the sharp rise in the consumption of soft drinks and processed foods high in fat, sugar and salt (energy-dense, nutrient-poor) that is contributing to the increase risk of NCDs12. Globally, consumption industries – especially soft drinks and processed foods as well as tobacco, alcohol – are increasingly targeting developing countries’ markets for expansion13. In 2002 alone, sales of processed foods in LMIC grew by around 29%, compared to 7% in upper to MIC14. Unhealthy food and drinks consumption in LMIC is growing at a faster pace than previously experienced in HIC15. Multinational companies have penetrated the food system in LMIC and although they have committed to remove transfats and reduce levels of salt, sugar, and fat content in foods in HIC, these changes are not being seen in LMIC15. In order to ensure that food supplies do not increase the risk of cancer and other NCDs, food supply policies need to meet food security needs by providing sufficient and safe food and simultaneously address nutrition security (access to sufficient food of adequate nutritional quality). Multicomponent approaches to food and agriculture are needed which combine policies for healthier eating change16. This is necessary for simultaneously dealing with hunger, nutrition, sustainable production and climate change. It is important to note that dietary choices are modified by price and availability of healthier foods (factors which are determined at societal and global levels) and the capacity for people to make healthy informed choices is also affected by household income and educational levels. The double burden of disease is not inevitable – coherent and integrated policies on food, nutrition and physical activity (including food and nutrition security) should enable economic development to occur alongside a reduction in both under-nutrition and over-nutrition. Since cancer and other NCDs account for a large share of the disease burden in all LMIC, action is needed to address the underlying causes to reduce the economic, health and social impacts. The priority now lies in strengthening global commitment to cancer prevention through healthy food, nutrition, physical activity and healthy body weight. The research landscape on policy action has changed dramatically, with an increase in the quantity and quality of research. A growing amount of work is being conducted on the effectiveness of policy actions and interventions to identify “best buys” in these areas to reduce the economic impact of NCDs in LMIC17. The WCRF global network works to influence policy change at a global and national level, raising awareness of the changes that can help people make healthier diet and lifestyle choices to reduce their risk of cancer and other NCDs. WCRF/AICR’s Policy Report provides evaluated and integrated evidence on the physical, environmental, economic, and social dimensions of food, nutrition, physical activity, and healthy body weight3. It also provides advice and guidance on how governments, multinational bodies, civil society organizations, industry, media, schools, workplaces and institutions, health and other professionals, and people (as members of families and communities) can implement changes to achieve the recommendations of the Second Expert Report. The policy recommendations are also consistent with recommendations to prevent other NCDs3. The importance of addressing these issues was recognized by international decision-makers with the adoption of the UN Political Declaration on the Prevention and Control of NCDs in 2011. A global monitoring framework will include a complete set of indicators and a set of voluntary global targets to contribute to achieving the already adopted global target of a 25% reduction in premature mortality from NCDs by 2025. This is key for global success in tackling the NCD burden. The WCRF global network contributed to the UN Summit and its follow-up and is actively involved in pushing for the implementation of the Declaration. The post-2015 development agenda is also critical, as health is an essential facilitator for the economic, political and social development of all countries. The continued engagement of development agencies on global health, and NCDs in particular, will be pivotal for the prevention of cancer, whether through a successor strategy building on the Millennium Development Goals or broader action on sustainable development following the UN Conference on Sustainable Development (Rio+20). A step forward would be the inclusion of NCD prevention goals with clear policy actions and interventions. Ensuring the increased production, availability and accessibility of healthier alternatives with reduced levels of fat, salt and added sugars, including through product reformulation. Encouraging consumer uptake of these healthier options, by ensuring they are competitively priced and promoted, with clear, accurate and easy-to-understand information for consumers. The food and beverage industry are both part of the problem and part of the solution. It is vital therefore to engage them in the most appropriate way when implementing policy and not when developing policy. Governments need to give careful thought to addressing the role of these actors to ensure the integrity of policy-making. As LMIC generally have lower capacity for the prevention and control of NCDs4 and there is limited evidence available specifically for LMIC, there is an opportunity for lessons to be learned from the evidence and best practice of HIC in terms of both improvements that have been made, as well as the unintended consequences of development. That said, it is also important that policies are developed with due consideration to the economic, social and cultural context in each country18, with a clear role to be played by the regional offices of UN agencies. ‰ Supporting the strong and successful implementation of the UN Political. Declaration on the Prevention and Control of NCDs and global monitoring framework (includes indicators and voluntary global targets), to support the development of national strategies on NCDs (including cancer) that address diet and physical inactivity major risk factors. Holding all actors to account for the commitments they have made to reducing rates of cancer and other NCDs, to ensure adequate response from governments and other actors. Exploring issues of development, sustainability and NCDs in the follow-up to the MDGs and Rio+20, including effective engagement of development agencies and global financial institutions. Influencing development of the new action plan for the prevention and control of NCDs for 2013–20, with a focus on policy and action. Continuing our partnership involvement with Union for International Cancer Control campaign “Together We Are Stronger” including support for the annual World Cancer Day. Updating the systematic reviews of cancers and cancer survivors reviewed in the 2007 Second Expert Report and Recommendations for Cancer Prevention through the CUP by 2017. 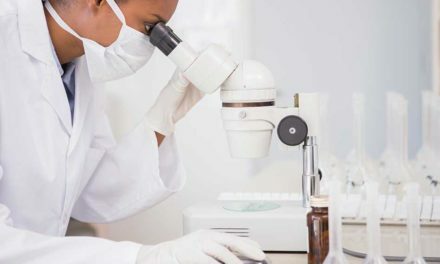 Funding innovative research on the role of food, nutrition, physical activity and body fatness in relation to cancer around the world through the WCRF International Research Grant Programme and the AICR Research Grant Programme. Educating the public about choices they can make to reduce their chances of developing cancer through various education programmes. The Great Grub Club, is a children’s education programme that encourages primary school-aged children to develop a healthy lifestyle by teaching them about healthy eating and physical activity in a fun way. Recent outreach activities have focused on helping children and parents in two deprived areas of London with high levels of childhood obesity, physical inactivity and early adult cancer deaths. Although UK-based, this particular education programme working in disadvantaged communities is a good example of best practice which could be transferable to LMIC. Prescilla Sawmynaden Perera MPHN has a background in public health nutrition and currently works as a Policy and Science Project Manager at the World Cancer Research Fund International. Jo Jewell MSc has a background in public health policy and is currently the Acting Policy and Public Affairs Manager at World Cancer Research Fund International. Professor Martin Wiseman MB, BS, FRCP, FRCPath is currently an independent nutrition consultant, and Medical and Scientific Adviser at the World Cancer Research Fund International. He was Project Director for the 2007 WCRF/AICR Second Expert Report and 2009 WCRF/AICR Policy Report. 5. World Health Organization. September 2011. Noncommunicable diseases fact sheet. Geneva, Switzerland: World Health Organization. Available at: http://www.who.int/mediacentre/factsheets/fs355/en/. Accessed June 7, 2012. 6. Horton, R. Chronic diseases: the case for urgent global action. Lancet 2007;370, 1881-2. 7. World Health Organization. 2008-2013 Action Plan for the global strategy for the Prevention and control of noncommunicable diseases. Geneva: World Health Organization; 2008. 8. World Health Organization.Global health risks: mortality and burden of disease attributable to selected major risks. Geneva: World Health Organization; 2009. 9. Doak, C., Adair, L.S., Monteiro C., Popkin, B.M. Overweight and underweight coexist within households in Brazil, China, and Russia. Journal of Nutrition 2000;130. 10. Swinburn B.A., Sacks G., Hall K.D., McPherson K., Finegood D.T., Moodie M.L., et al. The global obesity pandemic: shaped by global drivers and local environments. Lancet. 2011; 378 (9793):804-14. 12 September, 2012 12. Chan M. Noncommunicable diseases damage health, including economic health; 2011 19 September 2011; New York. World Health Organization. 13. Hawkes C. Marketing activities of global soft drink and fast food companies in emerging markets: a review. 2002. Geneva: World Health Organization. 14. Hawkes C. The role of foreign direct investment in the nutrition transition. Public Health Nutrition 2005;8(4): 357-65. 15. Stuckler, D., McKee, M., Ebrahim, S., Basu, S. Manufacturing epidemics: the role of global producers in increased consumption of unhealthy commodities including processed foods, alcohol and tobacco. PLoS Medicine. 2012; in press. 16. Hawkes C. Food policies for healthy populations and healthy economies. British Medical Journal 2012;344:e2801.